It may not be surprising to hear that most accidents take place on rainy days or on days when the weather is otherwise atypical. Consulting group Booz Allen Hamilton analyzed ten years of data from the Federal Highway Administration and found that approximately 6,250 fatal traffic collisions and nearly 500,000 bodily injuries occur during bad weather. Due to the vast and varied nature of the great state of California, a single region can contain desert as well as mountainous climates not far from each other. This quick transition gives unaware drivers little time to prepare themselves for changing road conditions. The snowy, slippery conditions of California’s wetter regions can be quite dangerous for drivers visiting new areas of the state. Even when they equip 4-wheel drive or snow chains, an ignorance of how to actually drive can make these precautions useless. If you or someone you know has been injured while driving in unsafe weather conditions, reach out to an automobile accident attorney in Stockton. Though it may be easy to blame the weather for car collisions, the weather is legally not to blame. Individuals are responsible for the way they conduct themselves and they way they drive, no matter the weather. If an individual isn’t taking the necessary precautions as he or she drives in rainy weather, it is that person’s responsibility for any personal or property damage that occurs. If you have been involved in a motor vehicle collision during bad weather, be sure to seek experienced legal representation from an automobile accident attorney in Stockton to take action or to protect yourself from other parties that may try to seek compensation from you. Your legal team will do everything necessary to determine who was at fault during the collision and to fight on your behalf to get you the compensation you deserve. Often drivers are simply overconfident and drive without the proper caution that rainy weather calls for. These individuals may be considered negligent in their behavior and thus to blame for the ensuing collision. 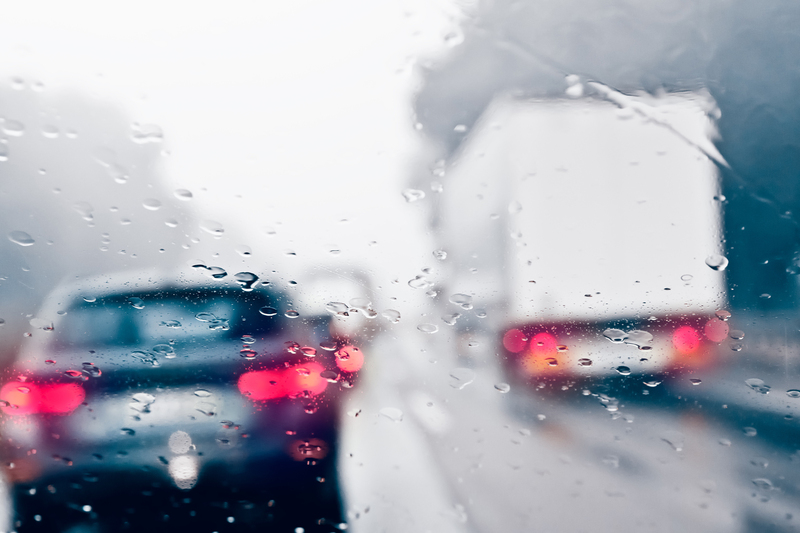 Often, drivers are in a rush and don’t care to take into account the increased risk of driving in rainy weather. Speeding on slick roads is a recipe for disaster. Though they may have been driving within the legal speed limit, conditions specific to the environment at the time of driving, such as rain or traffic, need to be taken into account by drivers. Roads are especially slick during rainy weather after a long period of dryness. As anyone who lives in California knows, there can be long stretches of time when it doesn’t rain. During these dry spells, oil and grease build up on the roads. When it finally rains, the water combines with these oils and creates an extremely slick surface. This increases the likelihood of hydroplaning and losing control of the vehicle which can cause serious injuries. Call an automobile accident attorney in Stockton if you have experienced a collision from wet weather conditions. Medical bills – This includes hospital admittance, tests and scans, medications, etc. Future medical costs – If your injury is likely to need further medical assistance, as many injuries are, you may be able to get compensation for projected future costs. Lost future wages – If you are not able to work at the same capacity you were before the collision, the individual at fault should give some amount of compensation to cover for this difference in earning capacity. Lost of companionship – If you lose a loved one due to someone else’s negligence, they may pay you for the suffering this causes. The state of California only permits legal action to be taken within two years of the collision, so be sure to contact a qualified automobile accident attorney in Stockton as soon as possible. Two years may seem like plenty of time, but when you take into consideration how long it may take to gather all the necessary evidence and to recover to a point where you feel up to a legal battle, it isn’t much time at all. Sadiq Law Firm, P.C. handles many personal injury cases, including vehicle accidents caused from rainy weather. When you contact our law firm, you can expect exceptional professionalism and legal advice. Give us a call at (209) 943-0000 to speak to an automobile accident attorney in Stockton.